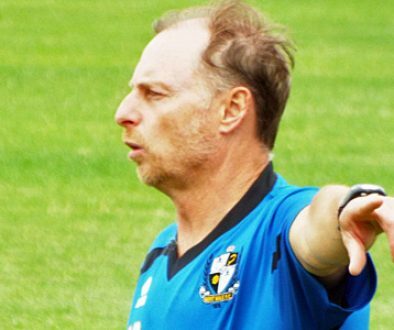 Port Vale assistant manager Paul Bodin has admitted he is “frustrated” after Saturday’s game with Swindon fell victim of the weather conditions. Bodin told the media: “From our perspective it is frustrating because we’ve got a very good home record, we had a good win last week against Bury and there was plenty of planning that went into today. “And, with it being Swindon, there was an added extra ingredient for me personally, so I’m really disappointed the game is off. “It is such a shame it is off and we’ve got to wait another week now for the next game. “The groundsman mentioned yesterday that there was heavy forecasts for rain overnight, and our pitch does hold a lot of moisture anyway. “The pitch was really heavy during the Scunthorpe game two weeks ago.